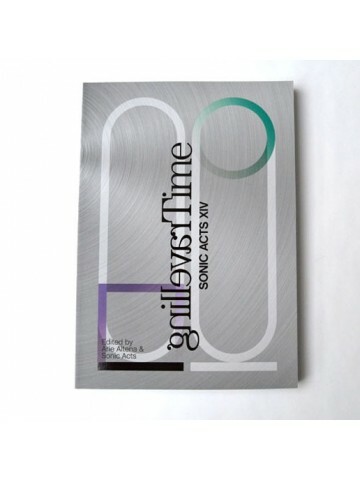 The lavishly illustrated, 304 pages long publication Travelling Time is an accompaniment to Sonic Acts XIV. The book discusses the festival theme from several perspectives and features extensive interviews with Pauline Oliveros (by Nick Cain), Catherine Christer Hennix (by Bill Dietz), Mark Fell, Robin Hayward, Keith Fullerton Whitman, Hilary Jeffery, and Joel Ryan. 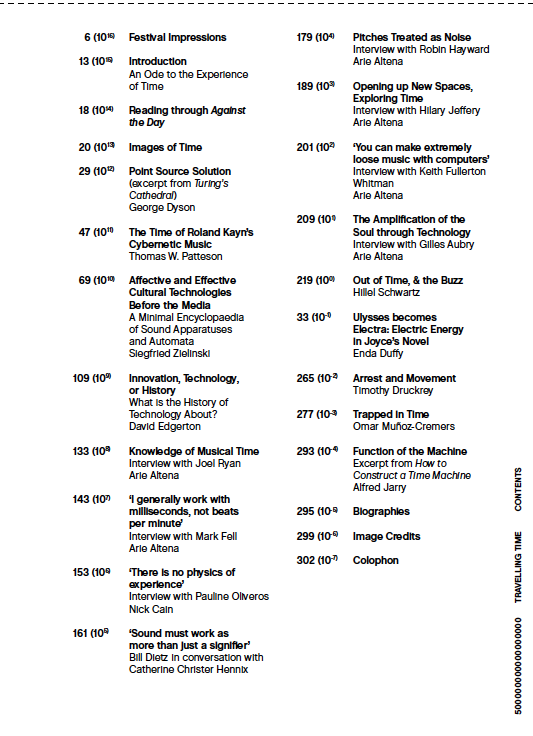 It also contains essays by Hillel Schwartz on noise and time, Siegfried Zielinski on music automata, Omar Munoz-Cremers on Science Fiction and time travel, David Edgerton on the history of technology, Enda Duffy on the adrenaline aesthetics of Joyce's Ulysses, Thomas W. Patteson on Roland Kayn's cybernetic music, and furthermore texts by George Dyson and Timothy Druckrey. The book is edited by Arie Altena & Sonic Acts and designed by Femke Herregraven.